Short, steep hike to the easternmost summit in Skyline Regional Park, affording good views of the park and the West Valley. 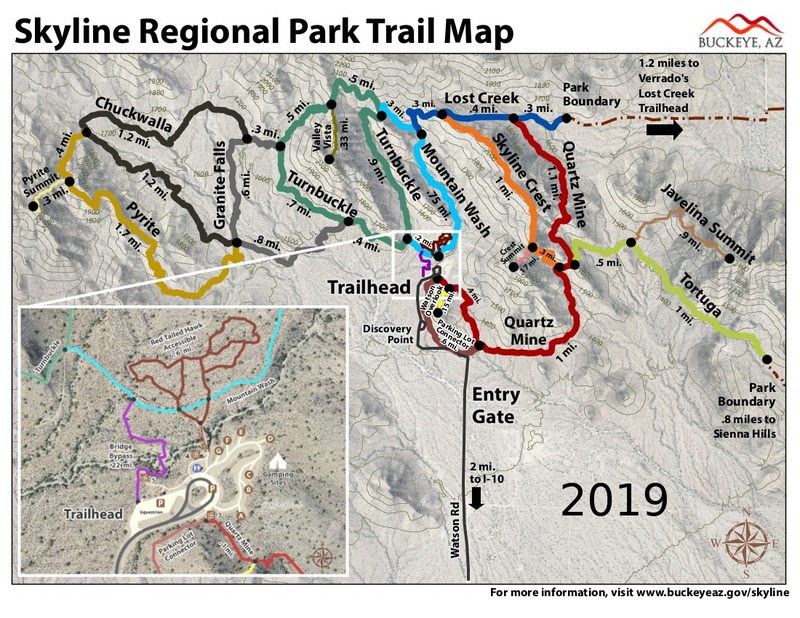 To reach the beginning of the Javelina Summit, from the main parking lot, you will need to take Quartz Mine trail east for 1.65 miles, then Tortuga Trail east for approx 0.50 miles to the beginning of Javelina Summit Trail. At this point, you will be about 2.10 miles and 330' aeg into your hike. Javelina Summit Trail starts climbing from the very start. The trail surface is in great condition, and the ascent, while steep, feels relatively easy. 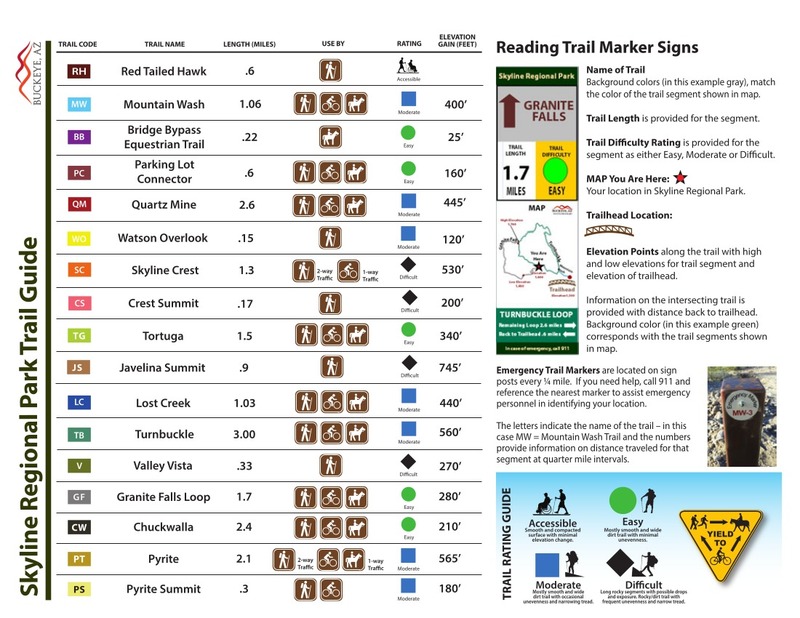 The first half of the trail heads generally east-northeast, with views of Verrado below to your left. The rest of Skyline Regional Park stretches out behind you. Just before the halfway point, the trail turns south-southeast. It levels out for a short stretch, giving you a chance to catch your breath. You'll quickly start climbing again though, and the trail gets quite steep as it winds its way up to the summit. For a moment, you'll doubt that a trail really reaches the top without requiring scrambling, but the trail will suddenly wind around the south side of the peak as you top out. The top of the peak is small, but there is room to sit on the boulders. Views of the Valley are nice on a clear day. Retrace your steps back down to return, using caution on some of the steeper sections. This would be a brutally hot hike during the summer months, although there may be some shade in the early morning. It is best enjoyed during the cooler parts of the year. From Phoenix, take I-10 west to Watson Rd. Go north on Watson into the park, and take Watson to the parking lot at the end of the road--approx 2 miles from leaving the interstate.